This is one of the most commonly asked questions by a borrower. Contrary to common belief, a borrower can qualify for an FHA loan even if they filed for bankruptcy in the past. There are statutes of limitation that applies to every type of bankruptcy filing. From Chapter 7 to Chapter 13 bankruptcy, FHA extends home loans to borrowers with a previous bankruptcy. A Chapter 13 bankruptcy is a debt re-structure program. Under Chapter 13 of the United States Bankruptcy Code, codified under Title 11 of the United States Code, it allows individuals to forego a financial reorganization supervised by a federal bankruptcy court. 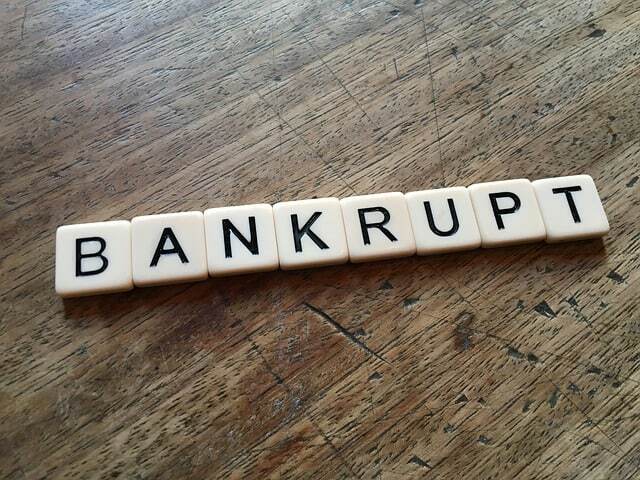 Typical terms of Chapter 13 bankruptcy is between 3 – 5 years in repayment. Creditors are offered payment of the debts in part or in full and release the debtor from future obligations. Upon completion of the term of repayment, the Chapter 13 bankruptcy is Discharge by the court. If the debtor does not pay or comply with the provisions of the Chapter 13 bankruptcy, the court can “Dismiss” the bankruptcy filing. This means the debts are not discharged, and the automatic stay that protects the obligations are automatically lifted. The creditors can have the right to collect past debts again. FHA will allow a borrower who has an open Chapter 13 bankruptcy get an FHA-insured loan if the terms of repayment are being made satisfactorily for the last 12 months. The bankruptcy court has to allow and give permission to obtain a new loan. The borrower must provide a Letter of Explanation regarding said bankruptcy filing, demonstrate financial stability and sound job history over and above the re-establishment of good credit standing. Under the Chapter 7 of the Title 11 of the United States Bankruptcy Code, it is the process of liquidation with regards to specifically exempt property. This is the type of bankruptcy that wipes out all the debts, the court’s assigned trustee collects all the debtor’s assets and sell them (non-exempt assets) accordingly. The proceeds from the sale of assets are then paid or distributed to creditors. After all, creditors are satisfied, the court will Discharge the bankruptcy. FHA will allow a borrower to get an FHA-insured loan two (2) years after discharge of Chapter 7 with no extenuating circumstances. However, a borrower can qualify for an FHA-insured mortgage sooner, at the Underwriter’s discretion, if they can provide and document extenuating circumstances behind the Chapter 7 bankruptcy filing. FHA’s guide to a securing a mortgage states that at least two years must elapse since the date of discharge. However, it is standard practice by lenders to use three years as the statute. What are an Acceptable Extenuating Circumstances? They are non-recurring events that are beyond the borrower’s control that result in a sudden, significant, and prolonged reduction in income or extreme increase in financial obligations. Events that are unpredictable, temporary in nature, out of the borrower’s control, and unlikely to happen again. •FHA considers a severe illness or death of a wage earner to be an extenuating circumstance. FHA does not recognize divorce, job transfer and inability to sell a home or job loss as an extenuating circumstance. •VA may take into account unemployment, prolonged strikes, or medical bills not covered by insurance. VA considers divorce with-in your control and not an extenuating circumstance. •USDA may consider the loss of a job, delay or reduction in government benefits or other loss of documented income, or increased expense due to illness or death. (b) Installment debt payments for the same period were also made within the month due. A borrower in default on their mortgage at the time of the short sale (or pre-foreclosure sale) is not eligible for a new FHA-insured mortgage for three (3) years from the date of the pre-foreclosure date. Note: A borrower who sold their property under FHA’s pre-foreclosure sale program is not eligible for a new FHA-insured mortgage from the time that FHA paid the claim associated with the pre-foreclosure sale. For more information about FHA loans and bankruptcy, short-sale, or extenuating circumstances, call us at 346-297-0516.